Paul Smith is renowned for classic garments that also demonstrate a discreet eccentricity that is essentially as British as his name. Committed to the idea of creative independence, he is Britain's most commercially successful designer, with a turnover of £230 million and retail outlets in forty-two countries. "I had … [m]odern classics you couldn't get anywhere else. I knew that … if I started selling clothes that I didn't like, but that lots of people did want, then the job would have changed me. I called the boutique Paul Smith as a reaction to the silly names … [of] the time (Fogg, p. 130). " Smith began manufacturing and retailing shirts, trousers, and jackets under his own label, and in 1976 he showed for the first time in Paris. The opening of the first Paul Smith store in London's Covent Garden in 1979 coincided with a resurgence in the money markets of the city and subsequent changes in social attitudes. His suits for men became standard wear for the 1980s young urban professional, the "yuppie." "Young people were willing to wear suits and were not embarrassed about saying that they had money. That was what the 1980s were all about and my clothes reflected the times" (Smith p. 148). Smith's amalgamation of traditional tailoring skills with a witty and subversive eye for detail, together with his quirky use of color and texture, allowed his customers the reassurance that it was permissible to be fashion conscious without being outrageous. 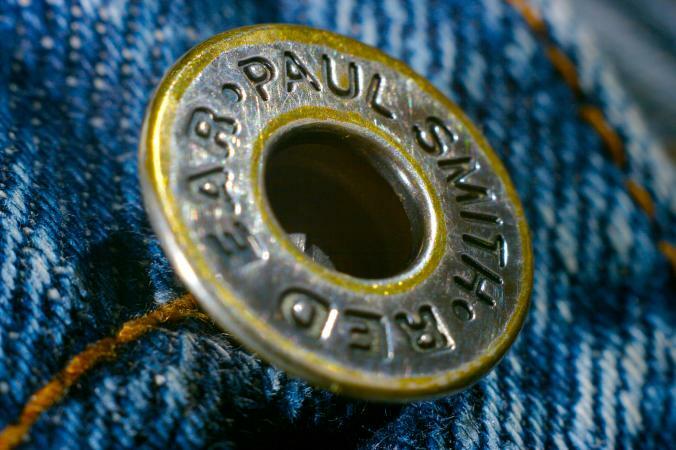 It was this particular brand of Britishness that appealed to the Japanese market, where Smith has a £212 million retail business of more than 240 shops. As the Paul Smith style infiltrated mainstream retail chains on the High Street, his company developed a stronger fashion emphasis, and in 1993 he introduced a women's wear collection. An important element of Smith's shops has always been his ability to source quirky and idiosyncratic objects to sell alongside the clothes. With the opening of the Westbourne Grove shop in London's Notting Hill Gate in 1998, he introduced another retail concept, that of the shop as home, and he has diversified into home furnishings. Smith has always been concerned that each shop is individual and reflects the unique quality of the city in which it is placed, rather than presenting a homogeneous ideal that is brand-and marketing-led. In the year 2000 Queen Elizabeth II knighted him for his services to the British fashion industry. See also Business Suit; Tailored Suit; Tailoring. Fogg, Marnie. Boutique: A '60s Cultural Phenomenon. London: Mitchell Beazley, 2003. Paul Smith. You Can Find Inspiration in Anything: (And If You Can't, Look Again!). London: Violette Editions, 2001.